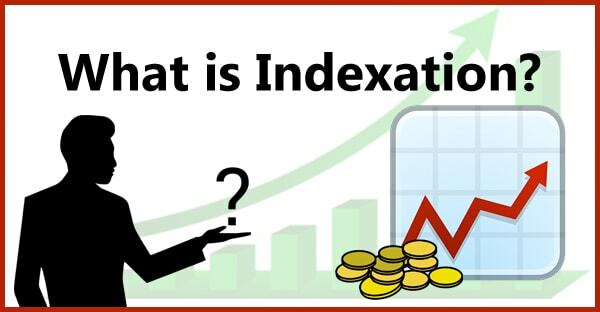 Home Banking What is Indexation? Inflation is the increase in the price of product or service. The increase in inflation results in buying few things for the same amount and the inverse is also applicable meaning when the inflation goes down the purchasing power increases and we are able to buy more goods and services for the same amount. Capital Gain is the gradual increase in the value of the asset over time. It can also be defined as the difference in the purchase price and current market price of an investment. Indexation can be used to inflate the purchasing power using the Cost Inflation Index. Indexation is a benefit provided for the investors who invest in Long Term Capital Gains (LTCG) and save taxes on it. LTCG is taxed at 20 percent with the indexation benefit and indexation allows you to increase the Purchase Price using Cost Inflation Index. The calculation of the indexation helped the purchase of the home to increase which resulted in an increase in the value of the purchasing of the home. The calculation of tax on the long term capital gain is calculated with 20% of the tax. Therefore 20% of the 7,54,238 is Rs.1,50,848. Indexation helps the investor here Mr.Sharma to increase the Purchase Price which further reduced the capital gain and the tax amount is reduced which made Mr.Sharma to pay less tax than what a normal sales require to pay without indexation. How a Young Person Should Invest? How to Check Indian Bank Account Balance?